On November 12, families took to Westgate Park and Recreation Center to enjoy a night of free games, activities, and a chance to win Thanksgiving turkeys at the 12th Annual Westgate Turkey Shoot. Kids and adults participated in games for all ages – the turkey hunt, turkey pop, turkey sack race, basketball free throw shooting contest, three-point shooting contest and family shooting contest. Turkeys were given to the first place winner of each age category – male and female. Twelve turkeys were awarded to participants, on behalf of the Westgate CRA and Rodriguez Charities. “It brings the community together, they get a chance to see each other, normally they don’t see each other on a regular basis – and some of them win a free turkey for Thanksgiving,” said Lee Powell, Westgate’s Facility Manager. Westgate Park and Recreation Center is located at 3691 Oswego Avenue in West Palm Beach and is owned and operated by the Palm Beach County Parks and Recreation Department. Amenities include two lighted basketball courts, a lighted multipurpose field, a playground, a soccer field, splashpark, game room, gymnasium and more. Staff at the facility regularly provide for youth enrichment, sports, and athletic programming for the Westgate Community by offering events like the Turkey Shoot, as well as after-school activities and sports leagues on a regular basis. To view the facility’s gym schedule and to find out what free events are happening at Westgate Park and Recreation Center, click here. One of the core services of the Palm Beach County Parks and Recreation Department is to provide for youth enrichment and sports/athletic programming and facilities. 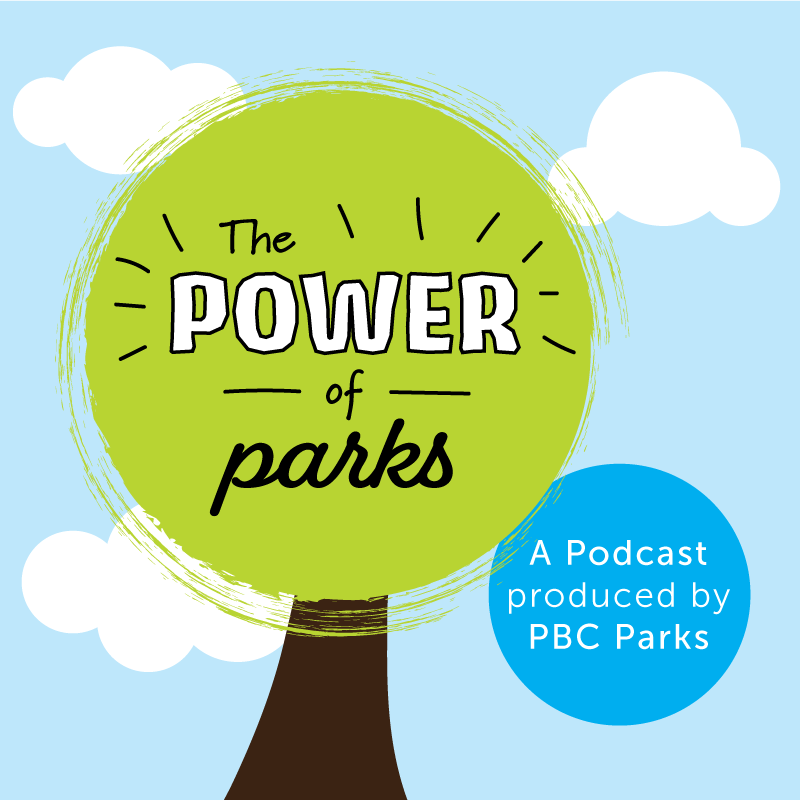 For more opportunities, visit www.pbcparks.com. In September, three Gray Fox kits were released into the wild at Palm Beach County’s Okeeheelee Nature Center in Okeeheelee Park, as part of a joint effort between Palm Beach County and the South Florida Wildlife Center. Before arriving at Okeeheelee Nature Center (ONC), the three fox kits were taken in as orphans by the South Florida Wildlife Center (SFWC). Two of the foxes were sisters, arriving at SFWC in May 2015 from Hollywood Hills High School at just a month old and weighing about 300 grams each. They were bright, alert and responsive. The other fox was picked up – also at a month old – from Pelican Harbor Seabird Station in June, having been found at an unknown location in Miami-Dade County. He had a degloving wound on his tail, whereby the skin and fur are essentially torn off the bone. The wound was treated for about a month. All of the foxes were treated for parasites, vaccinated and hydrated. During their 6-month stay in the rehabilitation facility at SFWC, the foxes learned essential survival skills in their enclosure and were regularly vaccinated. Human contact was very limited to avoid imprinting, which is a serious problem when wild animals become accustomed to humans and lose their fear of people. Imprinted animals cannot be released into the wild and must spend the rest of their lives in captivity. The fox kits were 7 months old when they arrived at ONC in September 2015. They were released that same month in an area on the nature center’s 90-acre preserve. The release was coordinated by SFWC’s Release Specialist, Shelby Proie, as well as ONC’s Manager, Callie Sharkey. The “soft release” process involved putting a temporary enclosure in the area where the fox kits were located, and feeding them for two to three days. During this time, the kits became accustomed to their new surroundings, allowing them to easily establish a territory soon after the doors open. Wildlife trap cameras were put up inside the enclosure, as well as on a nearby tree in order to track the fox kits’ activities. When the doors opened, the foxes left after about 15 minutes. One fox returned three days later to observe the space, but didn’t stay. Volunteers and staff have seen tracks in the area, but not the actual foxes – which is a very good sign of their successful transition into the wild. A release of this kind was a first for Okeeheelee Nature Center. Okeeheelee’s pine flatwoods habitat made it an ideal location for the fox release, since it’s reasonably protected and there’s plenty of food for the foxes to hunt and forage to survive on their own. Okeeheelee Nature Center is owned and operated by the Palm Beach County Parks and Recreation Department and features 2.5 miles of trails winding through 90 acres of pine flatwoods and wetlands. Highlights of the center include hands-on exhibits, animal encounters, and more. Guests can marvel at birds of prey, touch a live snake or prowl for owls during one of the many programs scheduled throughout the year for families, youth and adults. This was a pre-approved and joint effort by the South Florida Wildlife Care Center, which is affiliated with the Humane Society of the United States. Palm Beach County’s three nature centers DO NOT serve as rehabilitation centers, nor can they accept injured or stray animals on site. Please contact the South Florida Wildlife Care Center directly [954-524-4302] if you find an injured or stray animal. 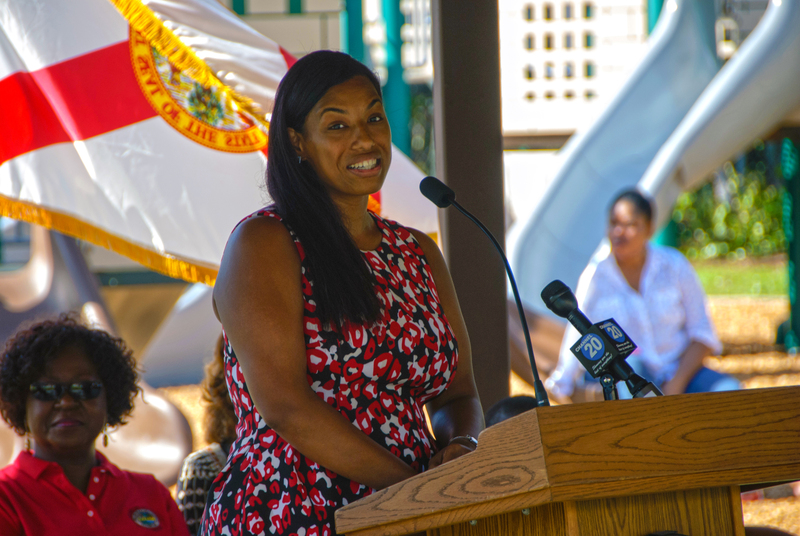 Palm Beach County Commissioner Priscilla Taylor, County Administrator Verdenia Baker and about a dozen other community leaders joined the local community to celebrate the grand opening of the newly-renovated San Castle Community Center Saturday morning. Each clenched scissors awaiting the cue to cut a long, red ribbon that symbolized months of team work and a future dedicated to lifting up the children and families of the community sandwiched between Lantana and Hypoluxo. “Our role in this collaborative endeavor is to elevate the voices of those who reside here and ensure that their hopes and needs for the community can be actualized,” said Jaime-Lee Brown, Vice President of Community Services at Community Partners. In 2003, the nearly 2,000 square-foot building was constructed at the request of the San Castle Community Leadership group, a not-for-profit organization created to advocate for the needs of San Castle community. Originally, the facility was envisioned as a transitional approach to address the immediate needs of the community, which at that time was identified as early childhood education. Residents also envisioned the facility as a community center. In June of 2014, when the responsibility for Head Start was outsourced, multiple Palm Beach County departments – including the Facilities Development and Operations Department, the Office of Community Revitalization, and the Sheriff’s Office – worked diligently to identify a nonprofit organization to partner with the community to lease and manage the community center. Housing Partnership, Inc., DBA Community Partners, was selected to take over the facility. Community Partners will be teaming up with area service providers to offer social service referrals, connections to quality after-school care, adult education classes, health education seminars, teen pregnancy prevention, parenting programs, drug and gang prevention and mentoring, as well as other programs intended to support the needs of the San Castle community. The center is open to residents regardless of income, and there are no federal eligibility requirements to participate in the programs. Prior to its opening, the facility underwent interior renovations, including air conditioning and flooring replacements. The exterior has been weather-proofed. Palm Beach County Facilities Development and Operations designed and oversaw the project construction; funds for the renovations – $150,000 – came from the Department of Economic Sustainability’s allocation of Community Development Block Grant funds. 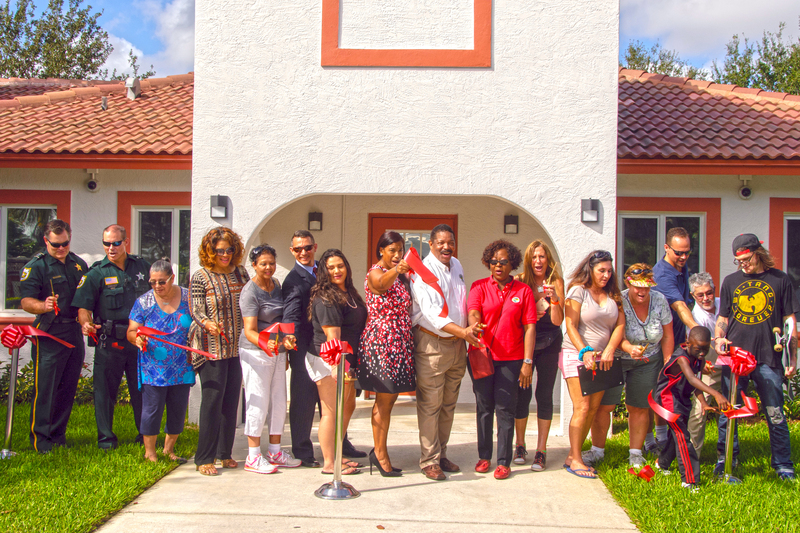 The existence of this community center could have not come to fruition without the support of Commissioner Priscilla A. Taylor and the time, cooperation, and collective effort of the Palm Beach County Office of Community Revitalization, Facilities Development and Operations, Department of Economic Sustainability, Palm Beach County Sheriff’s Office, Community Partners, as well as Robling Architecture Construction, Inc.
At the opening event on Saturday, several service agencies set up tables to ensure families had access to free information, food, and fun to celebrate the opening of the facility. Individuals representing Palm Beach County Parks and Recreation, Drowning Prevention, Environmental Resource Management and others were present to greet families and educate them on resources available to create happier, healthier lifestyles. The community center is more than just a facility for residents to gather. The facility will provide an opportunity for residents to access resources and work with center staff and the Office of Community Revitalization towards a common goal – building community ownership and capacity. The future looks bright for the community with the center opening and the momentum being created in preparation for the Abundant Community Initiative. ACI is a pilot project that follows a national model that supports grassroots efforts to increase neighborhood wellness by encouraging strong connections between neighbors. The overall goal of the project, spearheaded by the Office of Community Revitalization, is to help communities to be places where people know their neighbors, watch out for each other, take pride in where they live, and enjoy many opportunities for social, educational, and recreational interaction. The Community Center is situated in San Castle Community Park, located at 1101 Mentone Road in Boynton Beach. It is one of the two neighborhood parks designed, built and partially funded by the Parks and Recreation Department in the community. The park opened more than a decade ago and is utilized by the residents of the San Castle community. The 1-acre park features playgrounds for kids 2-12 years old, a gazebo, a half-court for basketball, bicycle racks and a drinking fountain. The park is open from Sunrise to Sunset.